Fry bacon until slightly crisp. Line edges of cups with bacon. Dice onion, red and green pepper. In a pan, saute red onion, red pepper and green pepper until tender. 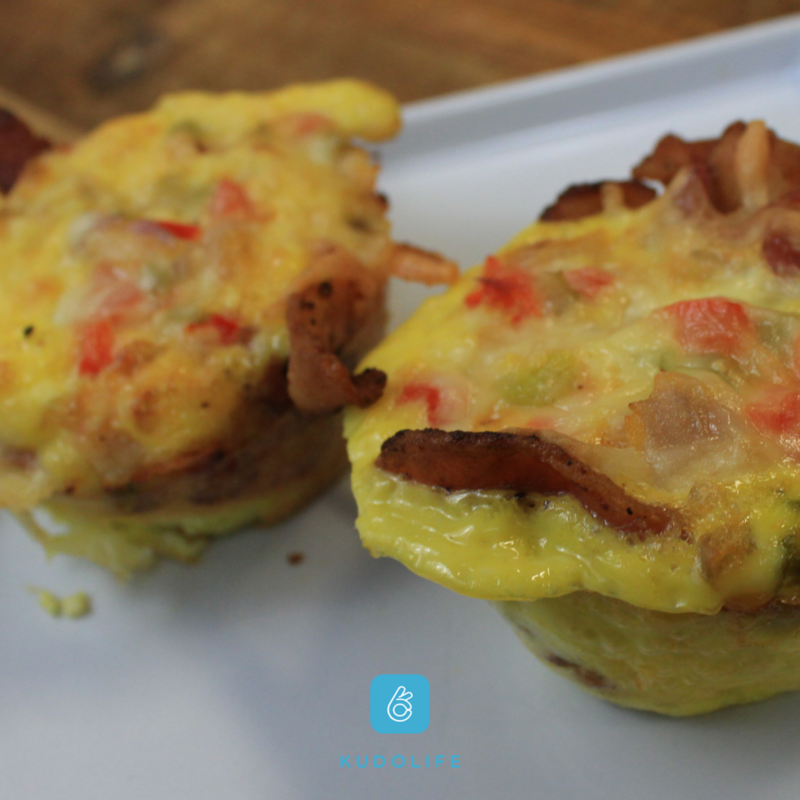 Pour eggs into bacon lined cups. Top egg with onion, peppers and cheese. Put in oven and bake for 20 minutes (or until golden brown).